Undoubtedly, Nepal is small but considerably blessed with culture and nature. The natural and cultural blessings fascinate thousands of tourists every year. Nepal pleases every individual traveler with unique flavor of nature and culture tours. We explore ancient history, civilization, religions, lifestyle, art and architecture, diverse flora and faunas, waterfalls, caves and lakes. At the meantime, we witness mesmerizing mountain panorama too. According to the flow and the preference of the tourist who come to visit Nepal, we have come up with the top 5 holiday destinations in Nepal. These holiday destinations do not include any trekking, hiking and adventure activities to any destinations in Nepal. These all are best city tours. Also, we can call it as the top 5 tours in Nepal. Here are the list and the brief descriptions of all. Kathmandu Valley consists of three cities: Kathmandu, Bhaktapur and Patan or Lalitpur. This valley is popular as a live museum to the explorers. Actually, we make a guided tour to the UNESCO World Heritage sites. In Kathmandu, we visit Swyombhunatha Stupa/ Monkey Temple, Kathmandu Durbar Square, Bouddhanatha Stupa and Pashupatinath Temple. Swyombhunatha Stupa or monkey temple is the most ancient stupa located at the hillock with serene surrounding offering beautiful view of Kathmandu valley. The huge stupa has the Buddha’s eyes printed on it which symbolizes peace and harmony. Kathmandu Durbar Square is the the palace from ancient Lichhabi period. This palace has a museum with ancient collections. The most striking highlight of Kathmandu Durbar Square is Kumari ( the living Goddess) . Bouddhanath is the world largest stupa with traditional houses and Pashupatinath temple is a world popular Hindu temple dedicated to God Shiva located at the bank of Pashupati river. We can observe cremation during this visit at the bank of Bagmati River. 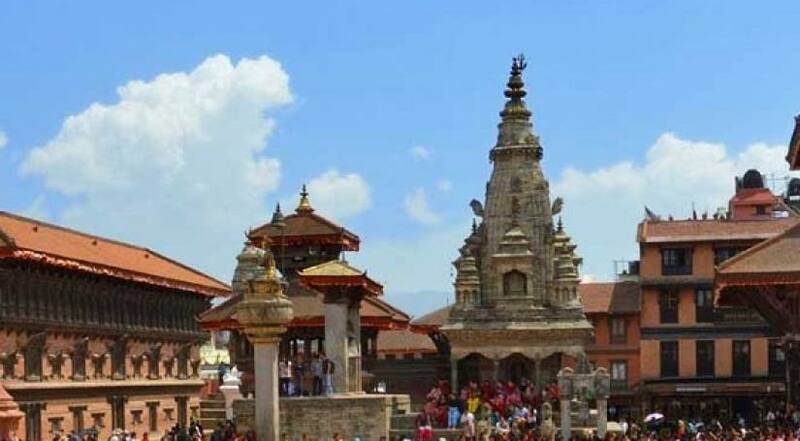 Lalitpur or Patan is an ancient city with temples mostly dedicated to Hinduism. The most popular site to visit in Patan is Patan Durbar Square where we visit Krishna Temple and a museum. The corners of the city, the street, art and architecture of the temples, the collections in the museum will let you a lot about Nepali civilization, culture and history. Similarly, Bhaktapur is another ancient city in Kathmandu valley. The curd, the pottery, tea and coffee, Newari Dishes, museums, palaces and temples are the major highlights of Bhaktapur. We also visit Changunarayan Temple in Bhaktapur. This temple is on the way to Nagarkot. A serene city with lakes, caves, falls and temples, Pokhara invites the tourists round the world to discover it. Pokhara is surrounded by magnificent Annapurna panorama. Pokhara also paves the way to different trekking trails in Annapurna regions like Ghorepani Poonhill Trek, Annapurna Base Camp Trek and Dhampus-Sarangkot Trekking. The lakeside Pokhara is the most popular place to stay in Pokhara. Besides, we visit Phewa lake, Davis’ fall, Gupteswor Mahadev Cave, World Peace Stupa and Sarangkot. Sarangkot offers us to experience the thrills of paragliding. We will be stunned to see panoramic mountain and stunning sunrise from the viewpoint of Sarangkot. This distinct city is the best place in Nepal to relax for a few days. We can get the accommodation and food we prefer. Thus, Pokhara is considered as a true paradise for nature lovers. Chitwan is popular for Chitwan National Park activities like jungle walk, jeep/elephant safari, canoeing, bird watching and Tharu Cultural Show. This park is abode to thousands of species of flora and faunas. The one-horned rhino and Bengali tiger are popular in this park. We can get Chitwan by both flight and land. The weather is hot during summer. Thus, wither winter or Autumn is the best time to visit Chitwan. Bandipur is located on the way to Pokhara. We climb hill from the place named Dumre and get to the top of the hill, which is Bandipur . Bandipur is a serene and picturesque traditional settlement with home stays, lodges and restaurants run by the locals. The local and organic cuisine, friendly locals, cool environment and mountain views are the major highlights of Bandipur. Nagarkot is 21 km away to the east from Kathmandu popular for sunrise and Mountain View. We pass via Bhaktapur and climb the serene countryside to get Nagarkot. Nagarkot viewpoint offers us breathtaking sunrise and mountain summits including Mt. Everest provided that the weather is clever. Nagarkot hiking is also popular as day hiking near Kathmandu. We get star hotels and restaurants in Nagarkot. We have suggested the above top 5 holiday destinations in Nepal. However, you may like different destination than we recommend. It’s up to you. But we hope that this article will certainly help to find your best tour destination in Nepal. These all top destinations can be combined in a tour package called Highlights of Nepal Tour.